Police move through the camp of protesters against the Dakota Access Pipeline near Cannon Ball, N.D., in February. Despite months of protests by Native American tribes and environmental groups, crude oil is now flowing through the pipeline. Crude oil is now flowing through the Dakota Access Pipeline, despite months of protests against it by Native American tribes and environmental groups. The pipeline spans more than 1,000 miles from North Dakota to Illinois and cost some $3.8 billion to construct. It is expected to transport approximately 520,000 barrels of oil daily. "Construction on the project was supposed to wrap up late last year," as Prairie Public Broadcasting's Amy Sisk reported. "But protests led to delays in permitting the final stretch of the pipeline under the Missouri River in North Dakota." At least 761 people were arrested during the standoff, according to The Associated Press. Members of the Standing Rock Sioux tribe, whose reservation lies just downstream from the place where the pipeline crosses the Missouri River, vow to continue fighting. They fear that a pipeline leak could contaminate their drinking water and sacred lands. 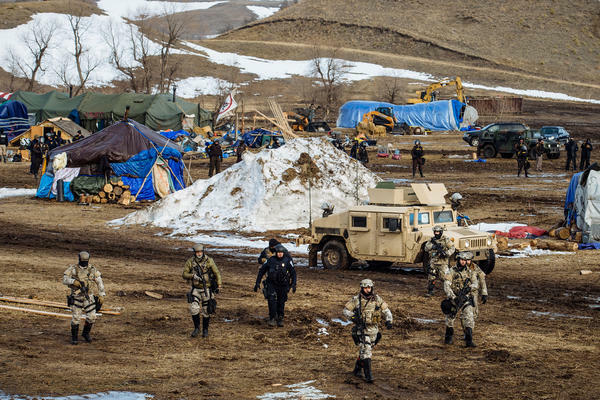 "Just because the oil is flowing now doesn't mean that it can't be stopped," Standing Rock Sioux Chairman Dave Archambault II said in a statement. A lawsuit from the tribe is still pending in federal court. "The tribe wants a judge to shut the pipeline down and says a thorough environmental review of the project must be completed," Sisk added. During President Trump's first month in office, he reversed a decision by the Obama administration and called on the Army to expedite the approval process for the section of the pipeline that had not yet been built. 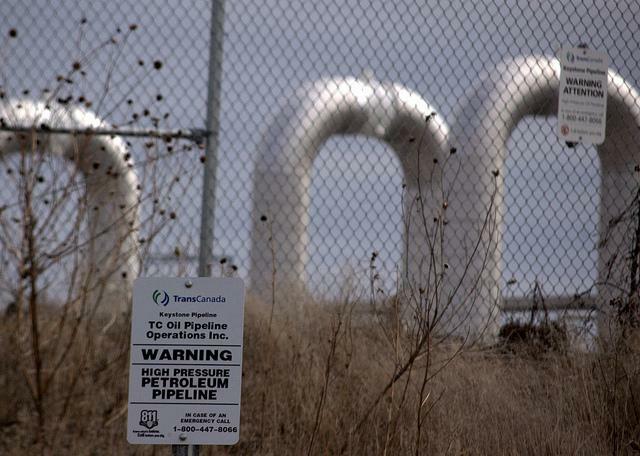 As The Two-Way reported, a federal judge in March denied a motion for a preliminary injunction to stop construction, clearing the way for the completion of the pipeline. The pipeline company, Energy Transfer Partners, argues that the pipeline represents a "more environmentally responsible manner than other modes of transportation, including rail or truck." "The Dakota Access pipeline and a feeder line leaked more than 100 gallons of oil in western North Dakota in separate incidents in March, and the Dakota Access line leaked 84 gallons of oil in northern South Dakota in April. No waterways were affected." If you're catching up on the Dakota Access Pipeline issue, check out our timeline of key events here. Northern Plains Resource Council is the lead plaintiff in a lawsuit filed today challenging the Trump Administration’s approval of the Keystone XL pipeline. A coalition of environmental groups are part of the lawsuit filed in federal district court in Great Falls. Northern Plains is challenging the permit based on what they call “outdated and incomplete information” from a 2014 Environmental Impact Statement used to determine the pipeline’s threat to the health of water, land, and communities it crosses​. Demonstrators across the nation rallied Tuesday, November 15 to protest the Dakota Access Pipeline. 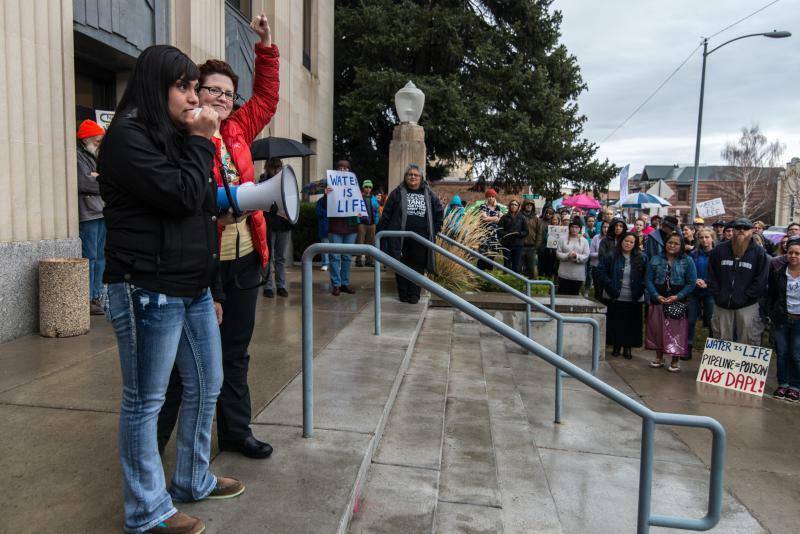 In Bozeman, over 300 people answered the call outside the courthouse. Montana State University student Amber Noseep was one of them. She spoke to YPR's Brie Ripley about the most surprising part of the protest.